As much as I am dreading the end of summer vacation, I have to admit that my heartbeat increases with excitement at the mention of Back to School. Backtrack a couple of decades and it's the same excitement I felt as a child. A new year means a fresh start, new beginnings, an updated wardrobe and the latest classroom supplies. What's not to love? Shiny, new manipulatives, bulletin board sets, and brightly coloured posters - these are all items teachers swoon over at this time of year. 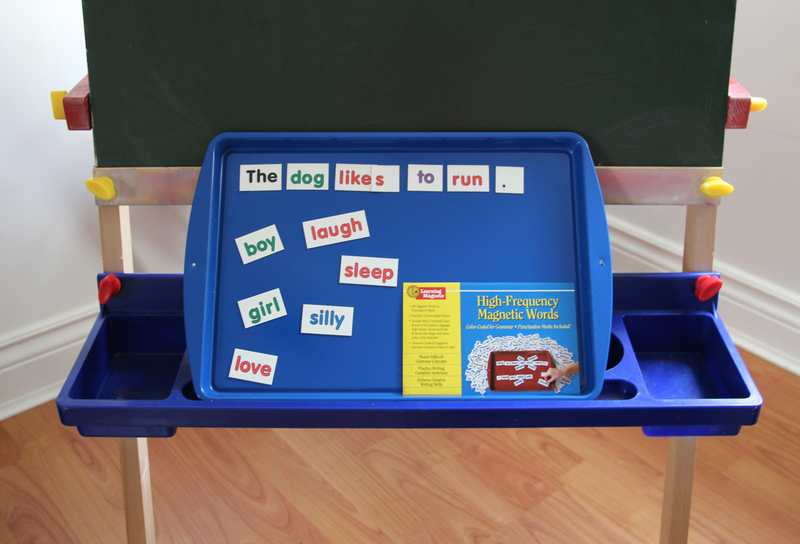 One of my favourite educational resources is the High Frequency Magnetic Words set from Barker Creek Publishing. A Teachers' Choice Award winner, this set of 205 magnetic words and punctuation marks contains the most commonly used words in the English language. This includes sight words, rhyming words and nouns that begin with every letter of the alphabet. These words are also colour-coded based on parts of speech which makes it easy for children to make new sentences by replacing words of the same colour. You can use them on a magnetic black board or white board during a large group activity, or use a magnetic Kidboard to help children practice writing skills on a more individual basis. Kidboards are sized to fit on a child's lap or desk and they are stackable for easy storage. 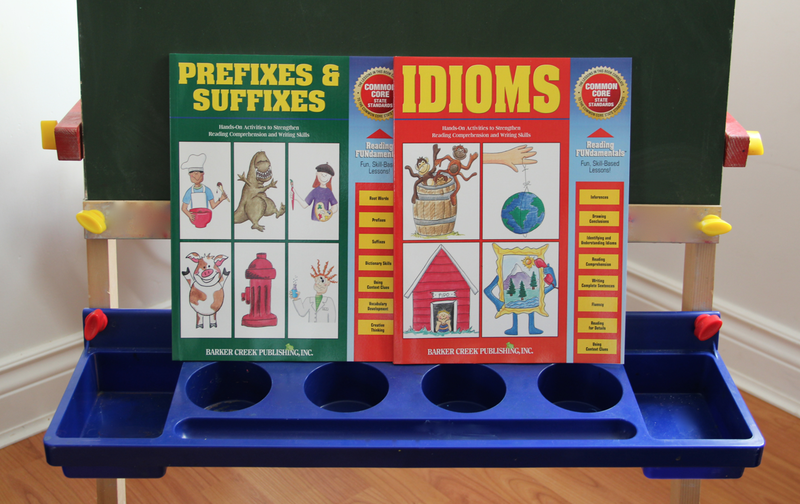 They are also lightweight and portable which make them ideal for use in the classroom, at home or on the go. They are available in brilliant blue and fire engine red for $14.99 each or $69.99 for a 5-pack. This September, I will be teaching health primarily to grade one classes. It's a really fun subject to teach but I don't have much in the way of visual aids. Until now, that is. 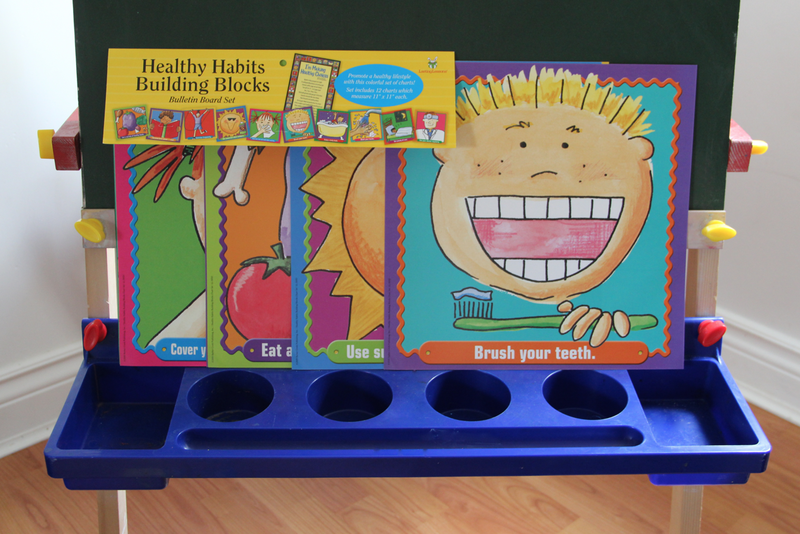 Barker Creek sent over this super cute Healthy Habits Building Blocks Bulletin Board Set featuring twelve square charts highlighting ten healthy habits and a poem entitled, "I'm Making Healthy Choices." 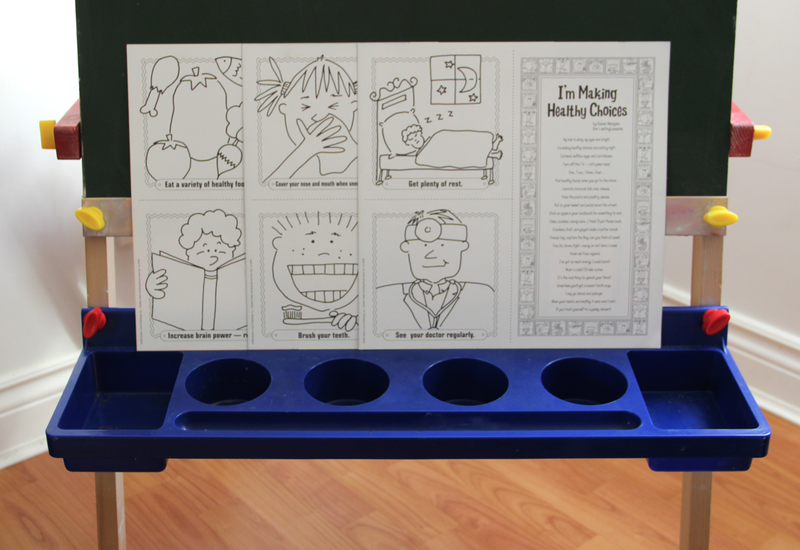 On the back of some of the charts, teachers will find reproducible versions of the healthy habits and poem as well as suggested activities to help teach healthy habits. Once I have taught these habits, I plan on posting them on my bulletin board in the hallway as a daily reminder for students. It will pair quite nicely with the polka dot pop-out letters I received last year! Finally, if you're looking for some hands-on activities to help strengthen reading comprehension and writing skills, check out Barker Creek's book series on Reading FUNdamentals. From adjectives to idioms, their collection is pretty expansive. Skill-based lesson books are listed at about $12.99 and contain roughly 48 pages of reproducible activity sheets. Win a Barker Creek Prize Pack! AND a pack of 50 double-sided E-Z Edit Paper! Simply complete the Rafflecopter form below for a chance to win. Open to US residents only. So lucky for US readers! This is a great package. Lots of useful materials!!! This is very cool! Very lucky US Residents!! The high frequency magnetic words looks awesome. Amanda is at the right age for it. My mom is in the U.S. and could mail it to me here in South Africa. Or, if the house sells this year, then she could keep it for me, since we want to relocate to the States. I'm going to enter the draw and you can decide if I qualify. Thanks! 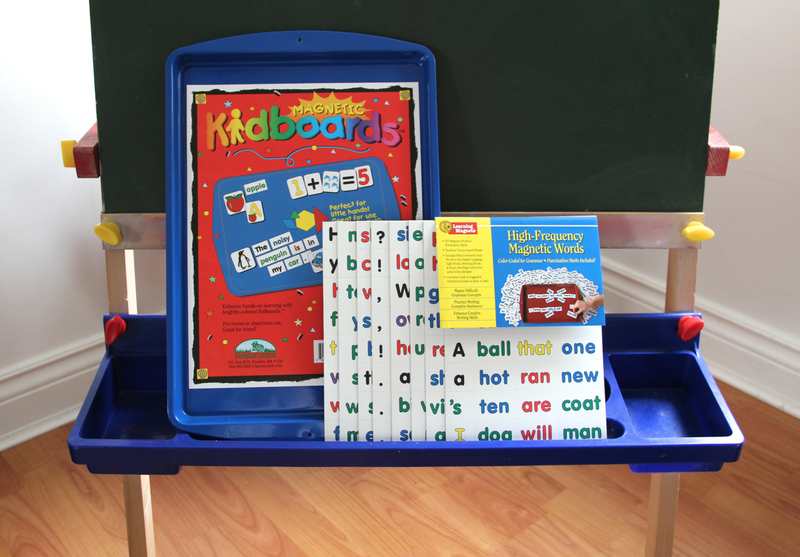 I'd love to use the Kidboard while homeschooling my daughter! The magnetic kidboard is awesome! Would be very helpful in a classroom or at home! The whole package is fantastic :) Thanks for the chance. I really like the double-sided E-Z Edit Paper.